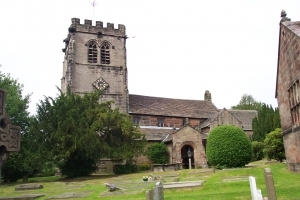 In the 13th century, Nether Alderley, or just Alderley as it was known until the mid 19th century, was owned by the Arderne family. In 1243, they were granted charters to establish a weekly market on Saturdays and an annual fair in August. These plans didn’t succeed, however the community of the parish continued to hold their Wakes in the second or third week of August, with the centre of the celebrations being held at St.Marys. The timing of the fair to St.Lawrence-tide reflects the original dedication of St.Marys. The date of the market charter, 1243, suggests strongly that a chapel of ease had already been built before the independent parish of Alderley was created. The old Saxon preaching cross and the 1200 year old yew tree indicate this may have been a very early place of worship. 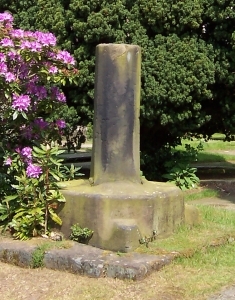 However the first record of an incumbent priest is the record of the death of Robert Byrom in 1328. It is therefore generally accepted the parish dates from 1300. It is easy to think St.Mary’s has achieved its good looks by accident but a measured drawing reveals that each addition has been carefully planned to harmonise with what has gone before. Eg. The tower is exactly the same length as the nave. All the stone was quarried locally on The Edge and the great roofs over the nave and aisles are made of Kerridge slate. 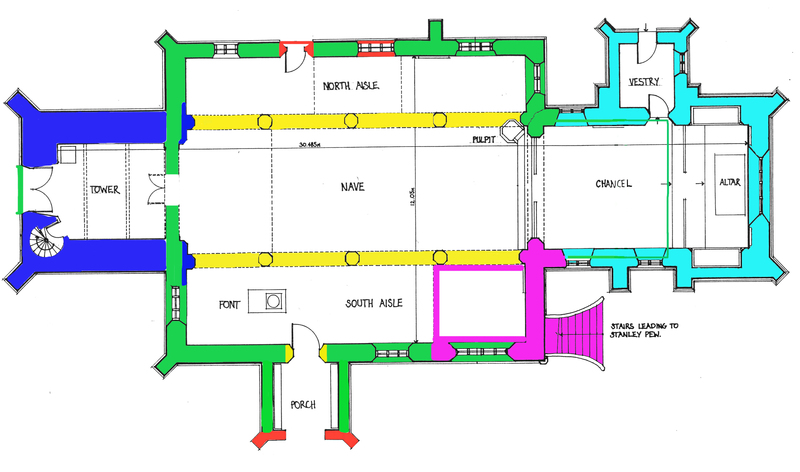 The church has a typical 14th century ground plan which consisted of a broad nave and two side aisles. As typical to other churches in Cheshire the clerestory was added approximately 150 years later.